You can read the original article on the Huffington Post. 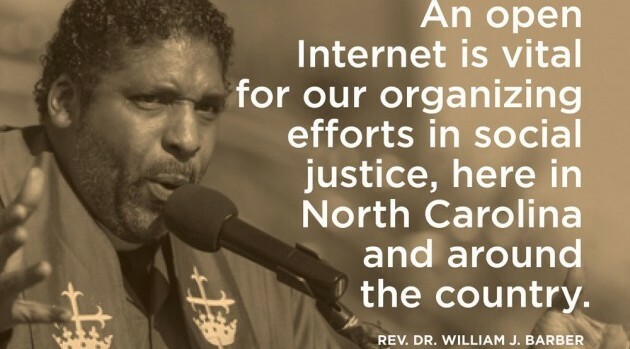 The Open Internet Order has gone into effect — protecting what faith leaders are calling the “fundamental right” of Internet freedom. Along with demanding more transparency from broadband companies, the Federal Communications Commission’s order prevents providers from blocking, slowing down, or allowing paid prioritization of websites. As part of a campaign organized by open internet activists at Faithful Internet, 12 American religious leaders — Christian, Jewish, Muslim, Sikh, and Humanist — spoke up to defend the new rules. The U.S. Conference of Catholic Bishops also chimed in on behalf of Pope Francis. Valarie Kaur, co-founder of Faithful Internet, said that net neutrality is vital for religious leaders who use the Internet to advocate for social justice. Here’s why these leaders believe an open Internet is essential for religious life and interfaith activism.